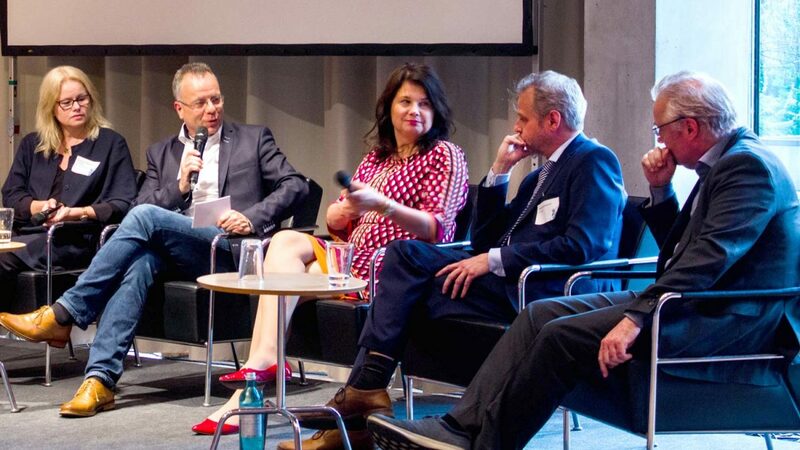 On 24 April 2018 during our symposium at the Bremen Landesvertretung in Berlin, BORDA hosted parliamentary guests for a panel discussion on the realisation of the Sustainable Development Goals (SDGs). 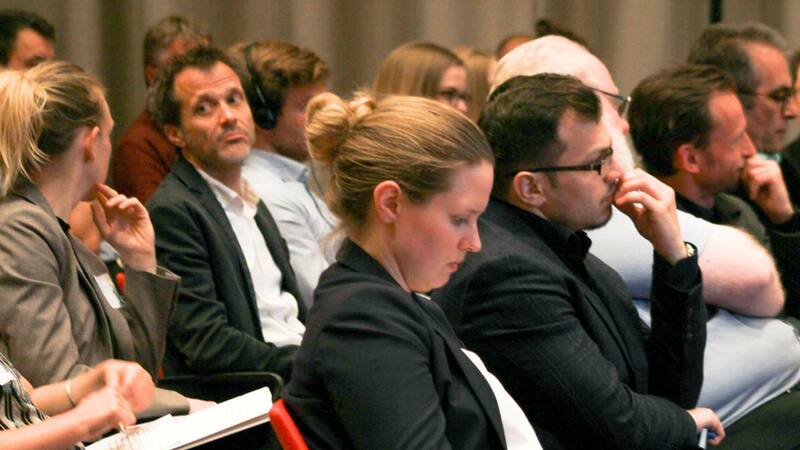 Guests were State Secretary Ulrike Hiller and Members of the Parliament of the Federal Republic of Germany: Dr. Kirsten Kappert-Gonther (Bündnis90/die Grünen), Till Mansmann (FDP), Eva Schreiber (Die Linke) and Peter Stein (CDU). 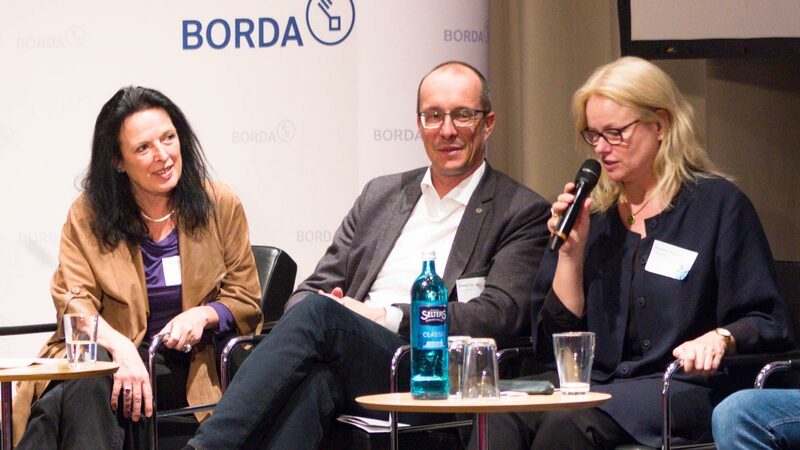 For us at BORDA, the panel discussion was an enriching experience. The discussion brought out the political dimensions of development cooperation and highlighted the entanglement of the SDGs with thinking globally and acting locally. Ulrike Hiller emphasised that the federal state of Bremen has a long tradition of fostering civil society engagement for social justice in the global north-south context. Bremen has launched various initiatives to implement the SDGs focusing on joint projects with partner cities in Africa and Asia. Eva Schreiber from Die Linke pointed out that development cooperation aimed at achieving the SDGs in developing countries can be problematic, if consumption habits in our own country are not contributing to the fulfilment of the SDGs closer to home. The high level of soy imports into Germany is one example of where Schreiber saw a need for regulatory action. Despite differing perspectives on development cooperation, the MPs agreed unanimously with the general idea of jointly working towards fulfilling the SDGs, and collectively argued in favour of more action and engagement. 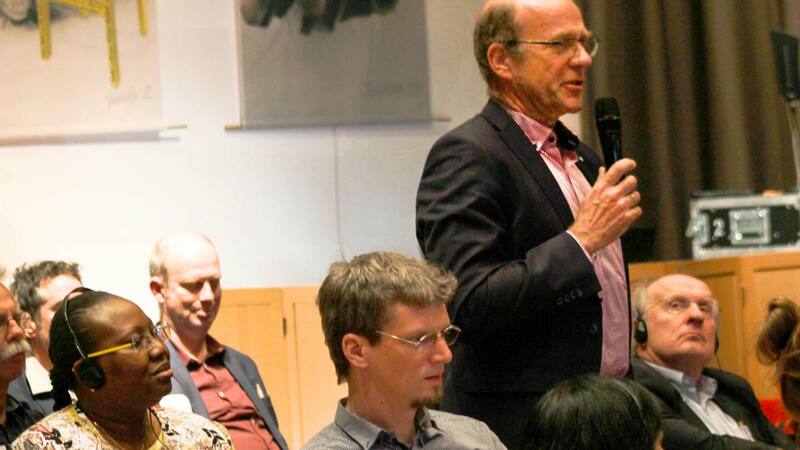 Peter Stein from the CDU encouraged representatives of local water operators and water-management experts to collaborate more with politicians in order to create better partnerships that are equipped for change. This was an important message to us—and to our audience—that we should step up our efforts to approach local, regional and national governments for jointly working on realising the SDGs. All in all, the parliamentary evening was not only a success for BORDA—it also moved forward the process of building more significant and effective alliances for achieving the SDGs. 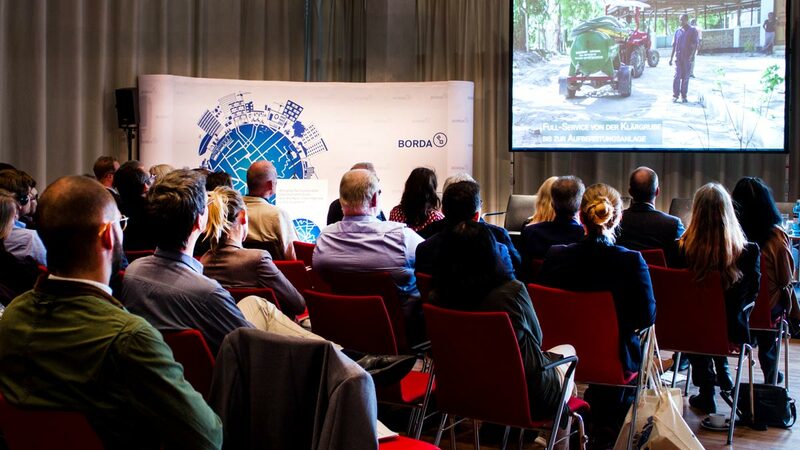 A screening of our film "Safely Managed Sanitation for All - the BORDA Approach"